We’re still on the bus back to Saskilla’s flat and introductory chat has already gotten political: “I get this feeling sometimes that maybe Theresa May, her regime or that type of politics has to be on the way out. The problem is, I don’t see anywhere in the world right now that has gotten it right”. 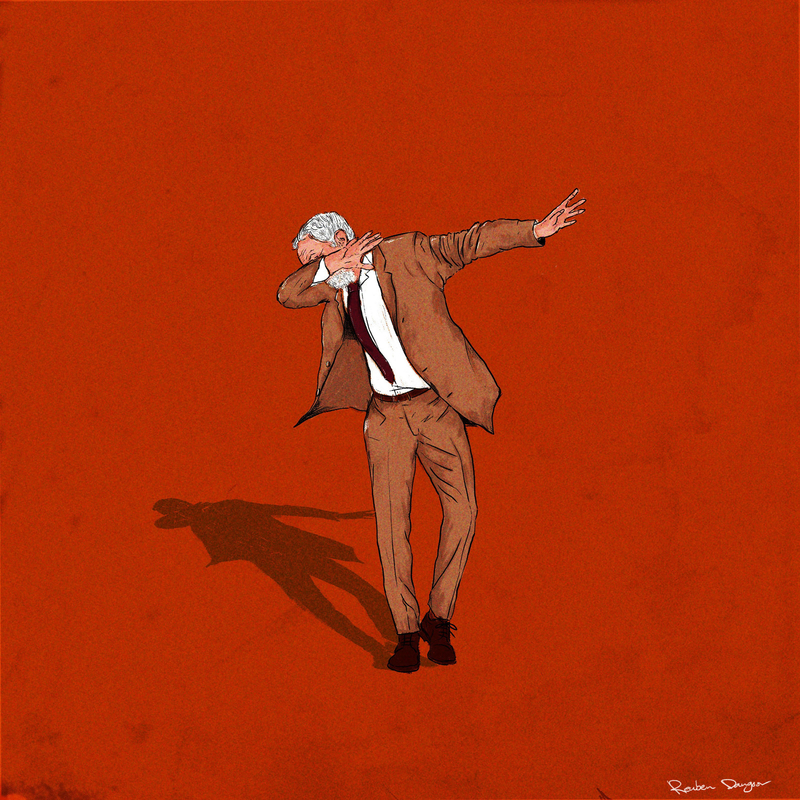 It’s against this backdrop of feeling that politics belonged to a different class that the seeds of Corbyn’s success found fertile ground in grime. The post-Windrush, Grenfell-haunted “dark-ages” era of politics that Hassan referred to on the bus caused many to believe “there’s no politics and humanity. The two things don’t go together. You can’t be human and a politician, whereas Corbyn’s saying, there’s nobody saying you have to be a monster to be a politician”. Easily cast as a witty, off-the-cuff one-liner emblematic of grime as a genre, the sentiment behind it was far from a joke. “His son contacted my phone and said: ‘Yeah, Dad does shop in Lidl, I want to tell you.’ I was like ‘wow this is Corbyn’s son, and he shops in Lidl’, so I wasn’t lying. I know that I wasn’t lying.” It’s precisely this feeling that Corbyn is so aware of the experiences of “the average Joe” (as Hassan describes people like himself) which has won the trust of so many in the grime scene. “His views are not the views of a person that wants to win, they’re the views of a normal man”. “I think what’s important is that what our campaign does” Adam explains about Grime4Corbyn, “is get those people who are already sympathetic to the kinds of things that Jeremy Corbyn is saying to actually vote. “They may come from families where people vote Labour, but just don’t bother to vote, because a lot of people don’t. So it’s about mobilising people to come out and vote on the day, as well as engaging them on the policies and ideas and actions that have been taking place over the last few years”. He explains grime’s power to do this: “combining [politics] with cultural phenomena like music can be a way of making it more relatable, more engaging, more interesting and more accessible. So I think that culture generally is a really important political tool. How much can grime sway an election? I think it’s impossible to say. These things are very difficult to quantify”. He’s right. 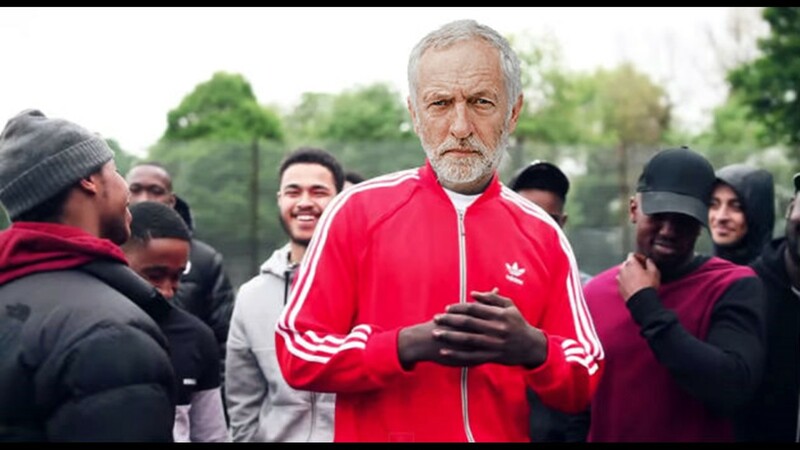 Measuring the weight of grime’s thumb on the general elections’s scale is hard, but at least one study (State of Play: Grime) by Ticketmaster, based on 2000 survey responses has tried: of the 58% of grime fans who voted Labour in 2017, 24% reported that Grime4Corbyn influenced their vote. “The reason why grime and Corbyn works and connected,” Hassan tells me, “is because the one thing Theresa May didn’t know is that grime, as a culture, not even just the music, has brought up Britain for the last 15 years. [Children have] access to YouTube, their favourite stars, their favourite artists or on social media, they’re able to follow them 24/7, they know what they’re eating, they know what they’re buying, they know what trainers they’ve got…people are so connected to their artist, their artist holds weight in their life with what he says and what he believes. That public trust, the holy grail for every politician, stemmed from both authenticity and the relatable message on the minds of many. “The thing with the Grime4Corbyn movement is that a lot of people are thinking this stuff, – it’s just that grime has said it, and because we said it in a movement, the youth thought: ‘For real though, why is it that these lot are going to win?’ because we don’t vote. Not because we want them to win but because we don’t vote. So literally getting people to vote was a danger in itself”. Hassan classifies the 2017 campaign as a definitive success, and Adam agrees. “Everyone expected him to be decimated. The newspapers, everyone in parliament expected it to be a complete, landslide victory for the Conservative Party and what we did was took away the Conservative Party majority, which is fundamentally important because it shows that the Conservative Party are not as powerful when they’re facing Jeremy Corbyn as they were when they were facing Ed Milliband”. Adam is quick to emphasise that Grime4Corbyn doesn’t want to tell people exactly how or what they should be campaigning for, but says: “The kind of stuff that we’ve felt that has been important, is, of course, our support for the people of Grenfell. We partnered with some young people in the Lancaster West estate following the fire to help to run Grime4Grenfell and support it – a lot of the people that are in Grime4Corbyn work on housing struggles”. As much as the campaign can do, “it’s up to ordinary people to get in there and put pressure on councillors, and vote in these kinds of local elections to help to oust these Blairites who are socially cleaning urban areas and refusing to build the vital council housing that we need”. Adam reinforces the point: “The first Grime4Corbyn event was in Tottenham, and we certainly want to do the next event in somewhere that isn’t a safe Labour area, somewhere like Croydon, somewhere like Kensington”. While grime has gone from pirate radio to international success on the back of people like Hassan and the communities he’s come from, the parts of East London where grime developed have seemingly suffered the brunt of austerity, the withdrawal of funding, and the closure of community centres. Neither Adam or Saskilla expect Corbyn to solve these problems alone. “It’s not that Jeremy Corbyn is the saviour or the Messiah or perfect or will have the golden key to open up our political freedom,” Adam says, “it’s about what he can do in order to make us great, and our organisations great and our movements great again”.